It's so hard to be humble. Here are three tips for taming your ego. I think it’s safe to say that, as a society, we could use a little more humility. Our culture places so much value on external accomplishments, appearance, and self-aggrandizement—all things that are ephemeral at best—that even a small display of this quiet virtue can make one feel like a drowning man coming up for air. Yet why can it be so challenging for us to express humility? Is it because we often misinterpret its active demonstration to be a sign of weakness, when in actuality it is an indication of tremendous inner strength? The answers may be found in what scientists are discovering about this quality—one so deeply revered by all spiritual traditions that many consider it to be the mother of all virtues. When I meet someone who radiates humility, my shoulders relax, my heart beats a little more quietly, and something inside me lets go. Why? Because I know that I’m being fully seen, heard, and accepted for who I am, warts and all—a precious and rare gift that allows our protective walls to come down. Truly humble people are able to offer this kind of gift to us because they see and accept their own strengths and limitations without defensiveness or judgment—a core dimension, according to researchers, of humility, and one that cultivates a powerful compassion for humanity. This kind of self-acceptance emerges from grounding one’s worth in our intrinsic value as human beings rather than things such as six-figure salaries or the body of a movie star or climbing the corporate ladder or the number of friends on Facebook. Instead, humble people place high value on more meaningful things that benefit others, such as noble qualities. They also see life as a school, recognizing that while none of us is perfect, we can, without negatively impacting our self-esteem, work on our limitations by being open to new ideas, advice, and criticism. Given what scientists have discovered about humility, it’s evident that cultivating this quality is not for the faint-hearted, nor does it appear overnight. If Gandhi is an example of what a humble leader can accomplish, then society serves to benefit from this kind of governance. Consider what researchers of the “quiet ego”—a construct similar to humility—suggest happens when we gain control of our ego: we become less likely to act aggressively, manipulate others, express dishonesty, and destroy resources. Instead, we take responsibility for and correct our mistakes, listen to others’ ideas, and keep our abilities in humble perspective. Who wouldn’t want that kind of leadership for our country—and the world? But the benefits of humility do not extend to just our leaders. Nascent research suggests that this lovely quality is good for us individually and for our relationships. For example, humble people handle stress more effectively and report higher levels of physical and mental well-being. They also show greater generosity, helpfulness, and gratitude – all things that can only serve to draw us closer to others. Given what scientists have discovered about humility, it’s evident that cultivating this quality is not for the faint-hearted, nor does it appear overnight. Yet it would seem that one of the great rewards of humility is an inner freedom from having to protect those parts that we try to hide from ourselves and others. In other words, we develop a quiet, understanding, and compassionate heart. Here are some scientifically-based ways to start. For many, when we fail at something that is important to us—a job or a relationship, for example—our self-esteem plummets because we tied our self-worth to those things. All of a sudden, we become bad or unworthy people, and it can be a long road to recovery. Not so for people with humility. As stated earlier, their ability to withstand failure or criticism comes from their sense of intrinsic value of being human rather than outer means. So when they fail at a task or don’t live up to expectations, it doesn’t mean that there is something wrong with them. It just means that they are human like the rest of us. Scientists suggest that this intrinsic value stems from secure attachment, or the healthy emotional bond formed with close others, usually our childhood caregivers. Having the experience of unconditional acceptance and love, particularly when we’re young, can serve as a buffer against the effects of criticism or failure. Unfortunately, many of us did not experience secure attachment when we were children. One study found that a whopping 40 percent of adults are not securely attached, but thankfully this does not mean we are doomed. We can heal through healthy adult relationships, such as friends, romantic partners, or even with a higher power. This recent GGSC article suggests some ways. 2. Practice mindfulness and self-compassion. 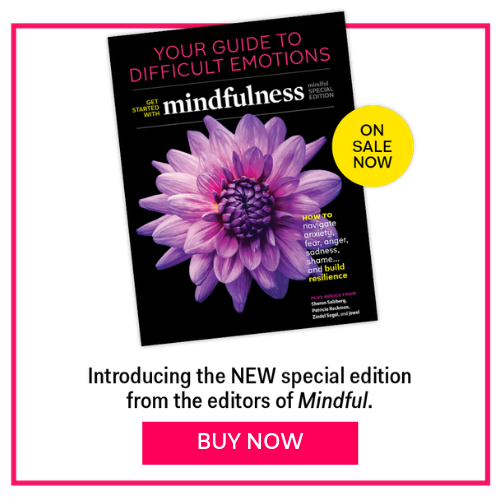 These days, mindfulness and self-compassion seem to be the antidote for many of our inner ailments. Yet I can’t imagine developing humility without them. According to scientists, humble people have an accurate picture of themselves—both their faults and their gifts—which helps them to see what might need changing within. Mindfulness grows our self-awareness by giving us permission to stop and notice our thoughts and emotions without judgment (if we judge what’s going on inside us, we paint a distorted view of ourselves). The more we become aware of our inner lives, the easier it is to see where unhealthy beliefs and actions might be limiting us. Noticing and then accepting those parts of ourselves that are wreaking havoc and that require us to change calls for self-compassion, or treating oneself with kindness and understanding. Once we accept what needs changing, then we can start the process of transformation. I love the saying by a wise sage, “If you are in a dark room, don’t beat the darkness with a stick. Rather, turn on the light.” In other words, just gently and patiently replace a negative thought or action with a positive one and over time, we may not even recognize the person we once were. Saying “thank you” means that we recognize the gifts that come into our lives and, as a result, acknowledge the value of other people. Very simply, gratitude can make us less self-focused and more focused on those around us—a hallmark of humble people. Indeed, a recent study found that gratitude and humility are mutually reinforcing. Expressing gratitude can induce humility in us, and humble people have a greater capacity for conveying gratitude. Both gratitude letters and gratitude diaries were used in this study – easy to perform practices that are described in greater detail on the GGSC’s Greater Good in Action website. Perhaps the key to humility is seeing life as a journey towards cultivating those qualities that bring out the best in ourselves and others and make this world a better place. This is the first in a series on humility. Subsequent articles will address humility and school leadership, cultural humility, and humility for students.